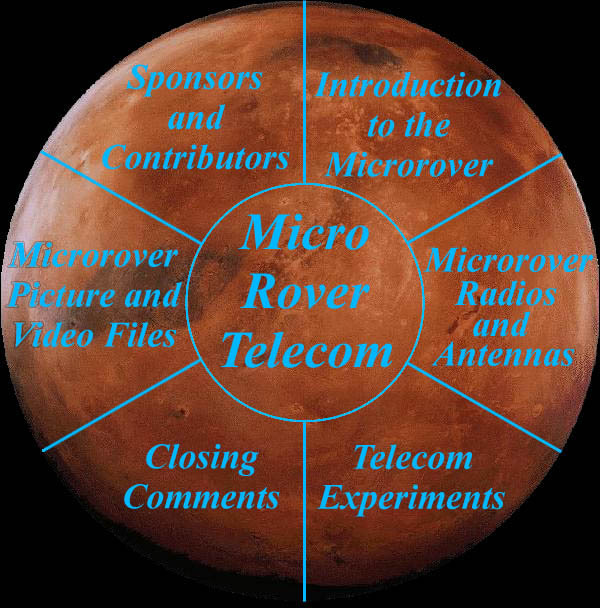 All information on this site, including text and images describing the Rover is copyright � 1997, 1998 Jet Propulsion Laboratory, California Institute of Technology and the National Aeronautics and Space Administration. This page was last updated Friday January 21, 2000. These web pages have been designed to work best in the 640x480 or 800x600 video mode using 16-bit (hi-colors). Also, it is recommnded that you disable the Always Use My Colors, Overriding Document box in the browsers color preferences tab. And while you're at it, download the most recent versions of Netscape Navigator or Internet Explorer.